Whether it's not-quite-right gifts you have received or the results of an annual clean out, your trash might be someone else's treasure. A survey by online marketplace Gumtree found that Australians received more than 21 million unwanted gifts for Christmas in 2017 with an average value of $68 each(i). If that sounds familiar, you might be among – or might want to consider joining – more than 3 million Australians who plan to sell an unwanted gift, and move forward with fewer belongings and a bit of extra spending money(i). 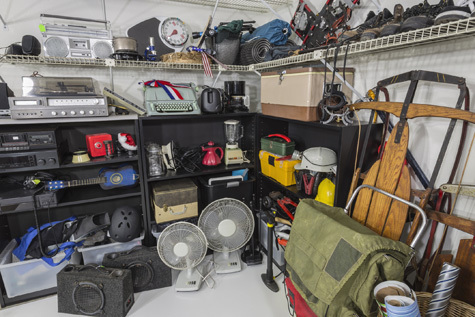 Aside from unwanted gifts, a bout of decluttering or a good clean out can also unearth saleable items you’ve been holding onto. Or perhaps you’re feeling weighed down by material possessions and simply want to live with less. Whatever the reason, the good news is that in 2017, secondhand sellers in Australia collectively earned $36.2 billion(ii). And there are plenty of buyers, with 86% of Australians saying they prefer buying secondhand over brand new, with the main reasons being that they can save money, find something unique and reduce waste by recycling useful items(ii). With the high cost of housing, electricity bills skyrocketing and wages stagnant, cost of living pressures are another reason it makes sense to find a way to put a few more dollars in your pocket. Of the 9.1 million Australians who sold something secondhand in 2017, 7.5 million did so online(ii). Consider mass market websites like eBay, Gumtree or the Trading Post, search for local buy, swap and sell groups on Facebook or specialty sites relevant to the product you’re selling. If online isn’t your thing, you could always hold a garage sale, or book a stall at a local market or fete. Wherever you choose to sell your goods, there are a few tips you should remember to improve your chances of a successful sale. Do your research so you can set a realistic asking price. Provide a detailed - and honest – description of the item you’re selling, including good quality photos. The more information you give the less chance there is for misunderstandings, which could bring the sale undone. Ensure you respond to potential buyer’s questions quickly and update the description if necessary to actively manage the sale. Allow potential buyers to view the item, especially if it’s expensive. i Gumtree, Unwanted Gifts Survey, 2017.
ii Gumtree, Secondhand Economy Report, 2017.